What kind of hair should I do? What about my dress? Where do I have it? When do I have it? What kind of makeup should I wear? 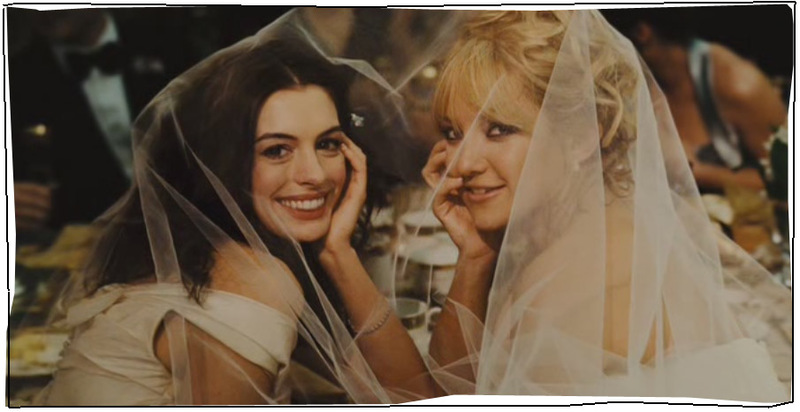 I was just rewatching Bride Wars the other day during lunch, and I was struck once again by how beautiful both brides looked on their wedding day. Which look would you have chosen for your wedding day? Kate Hudson had the whole smoky eye thing going, with a curled updo, but with ringlets falling around her face. I posted this picture of Anne Hathaway because it's the only shot I could get that shows you the gorgeous shimmery eyeshadow that she has on. I love the way they lined it above her lashline, it looks so beautiful! She had a much more 'classic-bride' look. As for the hair, I didn't post a picture of Anne Hathaway's, but it was all pulled back into a sleek bun - another 'classic-bride' look. I much prefer Kate Hudson's hair - I love curls! I love the way the ringlets fall around her face, so pretty! If you're looking for a tutorial on how to achieve a similar updo to Kate Hudson's in the picture above, check out my curly updo tutorial. 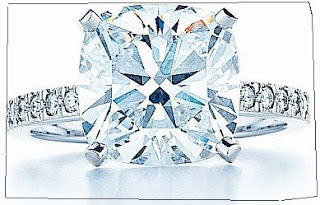 And what about that ring Kate Hudson wore? I think the band looks amazing - not sure about the square cut, but I think it's growing on me. For those of you who are thinking of dropping hints/popping the question, this ring is the Tiffany Novo from Tiffany & Co. I'm not a big fan, largely because it is so mainstream, but you have to admit, that little blue box and white ribbon is a heart-stopper. What's your wedding dream? Do you think the Plaza was a great place to get married? I have a lot of friends who really want a vacation wedding. 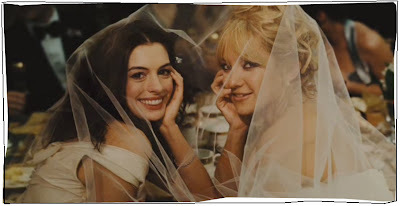 That makes me think of the Mamma Mia movie set - I think that was the perfect wedding setting. I'm not sure about the outfits, though.